Traditionally held in Kelowna or Prince George, the convention is taking a different route this year and being hosted in Vancouver. “We’re hosting it in the beautiful Convention Centre West, which has a fantastic use of wood in the structure, and is one of the buildings that demonstrates the beauty and applications of our product,” Yurkovich says. This year’s convention theme is Forestry for the Planet, Forest Products for the World. 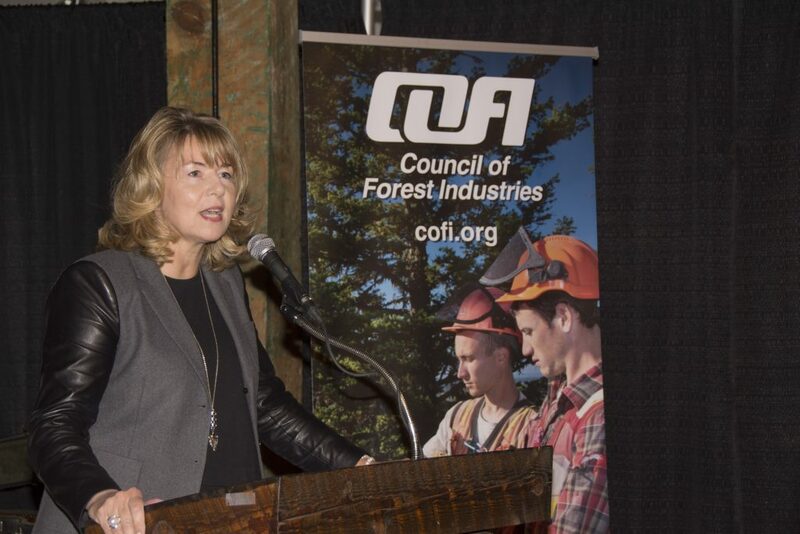 “We’re really focusing on the fact that wood products are an excellent material for all kinds of reasons: strength, beauty etc., but they are also a product that can help jurisdictions around the world to meet the climate change targets,” Yurkovich says. The convention has already almost sold out of its exhibit spaces. “It’s a great opportunity to focus on the industry, particularly in Vancouver. I live in Vancouver, but I’ve spent a lot of my career in and around small communities outside the Lower Mainland. It’s a really great opportunity to bring the convention to Vancouver because we’ll reach a new audience, and it’s really important that people in the Lower Mainland understand the importance of the sector to the province of British Columbia,” Yurkovich says. The COFI Convention will take place from April 5­–7, 2017. For more information, visit http://www.cofi.org/convention/2017-convention/.